Characters are an effective way of providing personalized and productive learning experiences. Read on to find out why and how. 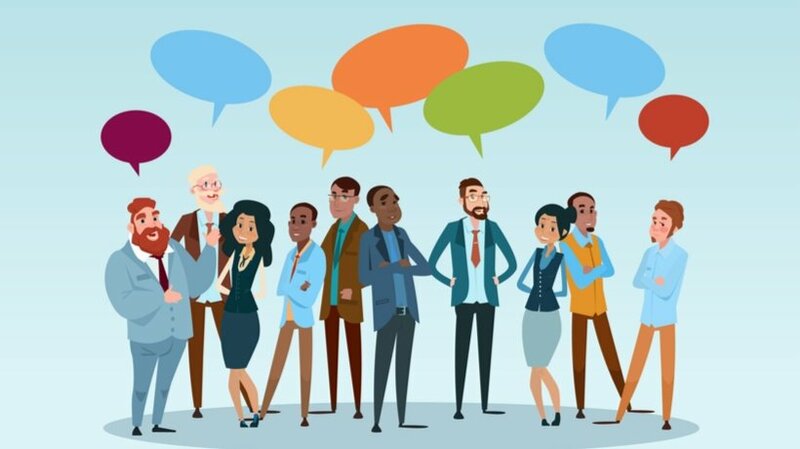 Volumes can be written about the uses and benefits of characters in eLearning, but wouldn’t it be more effective and fun to let characters themselves do the talking? Hi! 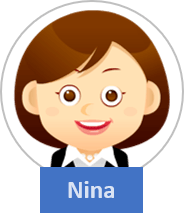 I’m Nina, a corporate trainer, and an avid blogger. I write about interesting things that I encounter in my fields of work – training and learning. For a while now, I’ve been particularly fascinated with the growth of the eLearning world. When introduced to it years ago, I admit I felt unsure about it. The idea of learning solely from a computer unsettled me. Perhaps, I was a little behind the times? It was soon clear that my qualms were unfounded. Besides a host of cost-related benefits, the self-pacing, personal engagement, and portability that eLearning brought to learning were immense. Further, the absence of an instructor opened up an exciting alternative – characters! Or avatars, as they are known today. We’ll start our discussion on characters with a little chat. 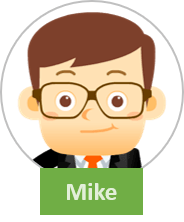 Meet Mike – a 30-something MBA, a budding Business Analyst at BigTechno and, frequently, a bored learner. Nina- So, Mike, when you’re not actively bridging the gap between business and IT, you either sit in training sessions or take courses at your desk. Correct? Mike- That’s right. Training is a big thing at office – from day one! The business analysis courses, I usually connect with. But the large chunk is HR policies, leadership or anything compliance-related – and that’s where the real pain is. Nina- Sounds bad! What’s painful about those courses? Nina- … really relate to it? Mike- Yes! In a practical sense, I mean. It’s like – where do I come in, you know? Nina- Well – what if I put you in the course? Nina- Yes, you. Let’s say you pop up on-screen and talk about what’s most important to you and how it specifically impacts your everyday work. Nina- Someone just like you – a character.  Mike- Ah – I love the idea! I sure got Mike’s attention, didn’t I? That’s the first benefit of characters in eLearning: Grabbing learners' attention. Once attention is gained, it must be sustained, and a way to achieving that is to establish a real connection with learners. Didn’t we see how excited Mike was to be represented in the course? That shows that characters work wonderfully in making that connection, and it shines a light on their next benefit: Enhanced relatability. In fact, it goes beyond that. Characters provide a sense of personalized attention to learners and appeal to their emotions. The more Mike identifies with the character, the more he will care about the content, and be self-driven to learn and remember. In other words, course characters increase overall learner involvement and lead to greater motivation as well as retention. Now, we’ll talk to people who work behind the scenes to design and develop the eLearning courses, Jimmy, an Instructional Designer, and Sheila, a Graphic Designer collaborate with Grasp Inc., to provide worldwide audiences with effective learning experiences. Let’s hear them discuss characters! Jimmy- I want the learners to be reflected in the course in some way. So, I start thinking of characters early in a project – during audience analysis. Sheila- Exactly—that’s when I’m usually spending time on websites and social media to study what the learners look like—where do they live, what do they wear, what age groups are we addressing, and so on. 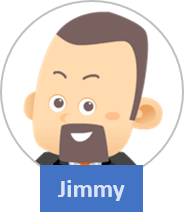 Jimmy- Building a visual in your head – nice! A peer is probably a character I devise the most – where the learners see exactly themselves in the course. A lot of content, however, offers opportunities for multiple roles in a single organization, doesn’t it? 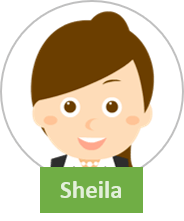 Sheila- Oh yes—a manager, supervisor or coach, an all-knowing instructor… and maybe a new employee going through orientation—someone who asks a lot of questions! Jimmy- Yeah, and for global audiences, characters are a perfect way of addressing an ethnically diverse audience. Jimmy- Spot on! We haven’t touched upon your favorite eLearning areas yet, have we? Sheila- Thanks for the reminder! Full-fledged story-based approaches and games, of course, offer endless prospects for including diverse and interesting characters. Detectives, superheroes, sidekicks, robots – the sky is the limit! It is indeed! Jimmy and Sheila gave us a glimpse of how varied characters can be created in eLearning for different purposes. Characters easily help initiate and build settings that are useful for a course. Owing to the human connection, they instantly usher learners into the course’s unique environment. Examples include a pedagogical agent for module introductions, subject experts for scenarios and advice (like tips and mnemonic devices), and protagonists and supporting characters for stories and games. The challenge of bringing in different individuals – with their own ethnicities, geographies, ideas, perspectives, opinions, moods or gestures – is easily met with the use of characters. A range of situations including team workflow, knowledge check questions, and comparison and contrast of ideas can then be easily laid out. Wordy content can often be simplified to crisp direct speech when conveyed through the dialogues of such characters. Reusing course characters in job aids and other material that supports the learning program (emailers, website, merchandise, etc.) provides continuity and enhances learner retention. For example, characters from an HR policy awareness course can point to key policies on the company’s Intranet or provide tips to employees in emailers. eLearning characters within a new course or curriculum can be used to market and announce its release. This will go great lengths in creating curiosity and improving motivation. Apt combinations of the character-driven ideas we discussed today can produce powerful courses. However, be careful not to overshadow the content with the characters. Devise creative yet real characters. Use them to guide learners, assess their knowledge, or emphasize key topics. Having the learners themselves choose a character from a set can be a great strategy to engage the "affective domain" (as Jimmy would put it!) and turn up enthusiasm. Ensure the eLearning experience inspires learners to play a pivotal role in their own learning process and drives them to apply the learning on the job. Let the experience lend a helping hand to the world’s Mikes and rejuvenate their work life!